Salem Main Streets is pleased to continue with our Citizen of the Month feature! The intent of this feature will be to spotlight individuals who are going above and beyond to make downtown Salem a great community in which to live, work, and play. Hopefully, you’ll learn new ways that you can help as well. This month we are spotlighting Andy Gerard, the volunteer mastermind behind the Salem YMCA‘s brand-new recording studio. The son of a music teacher, music has always played a significant role in Andy’s life. Andy first came to Massachusetts from New Jersey as an undergraduate in sociology at UMASS-Amherst, where he continued to play a variety of instruments in addition to his classwork. He went on to attend the School of Audio Engineering in New York City and worked at a number of recording studios while living in NYC. Andy transitioned into software engineering after moving to the Boston area, where recording engineer positions are few and far between, but he maintains a small studio in his basement for his own projects. When Andy originally found out about the Y’s hopes for a recording studio via Facebook, he thought that his background as a recording engineer might prove useful and offered to help. He found that professional quote the Y had received was going to be too expensive to pull off and worked with them to develop a more achievable plan. In addition to playing the role of consultant, Andy built and donated the computer that will serve as the central hub for the recording operation. He hopes to continue helping as a teacher and engineer once the recording studio is truly up and running. Andy volunteers for several other local causes, including Solarize Salem. He enjoys the ability to give something back, noting out that his wife City Councilor Beth Gerard’s love of volunteering often encourages by example. Andy appreciates that the recording studio at the Y is truly a community project and points out that a recording gives students something tangible to walk away with to mark their accomplishments. 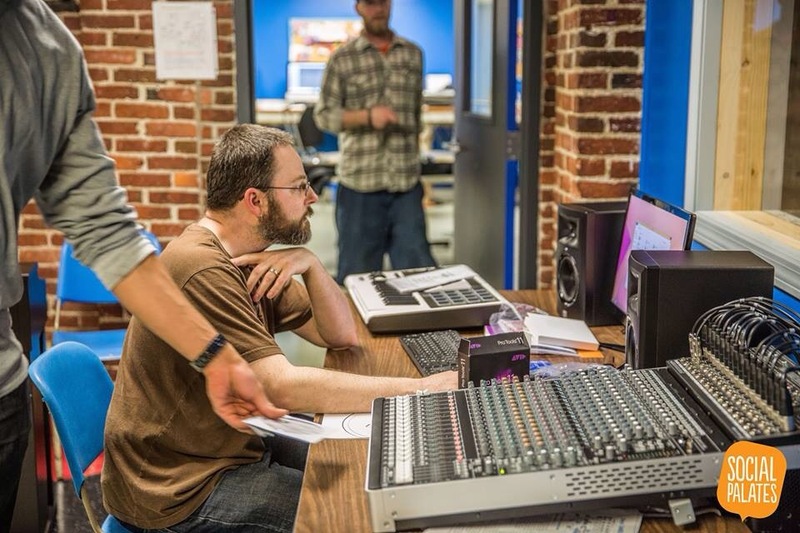 In addition to serving as an educational opportunity and creative outlet for students, the Y hopes that members of the Salem community will also begin using the recording studio as a resource. Want to help support the YMCA’s recording studio? Come to Ames Hall at the YMCA, One Sewall Street, TONIGHT (May 17) at 7:00 p.m. for a benefit concert with Soul Rebel Project, The Dejas, Qwill, and Kevin William Klein – specifically to support the Y’s music program and the new recording studio! Tickets are $20 at the door with a cash bar. Find more information here. Bring Your Bike To Salem Salem Arts Festival Wants YOU!